The Lightning Sportbikes consist of several Buell Motorcycles including Lightning X1 1200, Lightning CityX XB9SX 984 XB 9SX, Lightning Long XB12Ss XB 12Ss, Lightning Low XB9SL XB9 SL, Lightning S1, Super TT XB12Stt, XB12S, SB12Scg, XB12Ss and XB9S. These Buell Motorcycles are from the years 1996, 1997, 1998, 1999, 2000, 2001, 2002, 2003, 2004, 2005, 2006, 2007, 2008, 2009 and 2010. 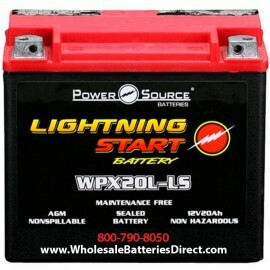 Wholesale Batteries Direct has the high quality Sealed AGM Maintenance-Free batteries that you want to buy at discount prices to replace the original OEM battery from your Buell Lightning Motorcycle. 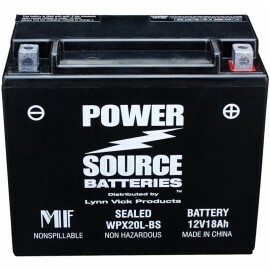 All of our motorcycle batteries come with a full 1 year warranty.